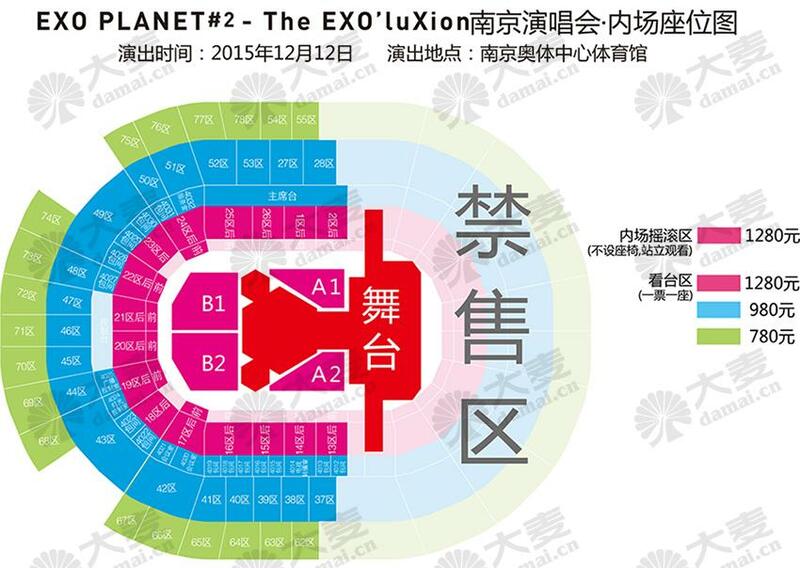 4.Customers who choose ‘buy on map’ to buy ticket are limited to six tickets. 5 Infield is the Rock area (standing ticket）. 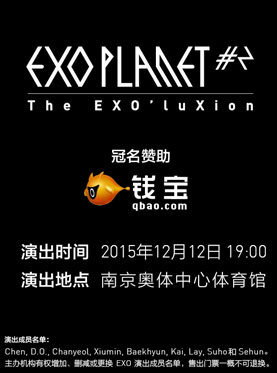 2015 EXO PLANET #2-The EXO’luXion in Nanjing will be held at Nanjing Olympic Sports Center on Dec.12, 2015. Exo is a Chinese-South Korean boy band based in Seoul. Formed by S.M. Entertainment in 2011, the group consists of twelve members separated into two subgroups, EXO-K and EXO-M, performing music in Korean and Mandarin, respectively. EXO rose to fame with the release of their best-selling first album XOXO (2013), which contained the breakthrough hit "Growl". XOXO was a critical and commercial success, winning both Disk Daesang at the 28th Golden Disk Awards and Album of the Year at the 15th Mnet Asian Music Awards. It eventually went to sell over one million copies, putting EXO as the fastest-selling Korean artist in twelve years. Their third EP Overdose (2014) made EXO the highest-charting Korean male act on the Billboard 200.